I LOVE lasagna. I don’t necessarily love making it…but this one was definitely worth the effort. 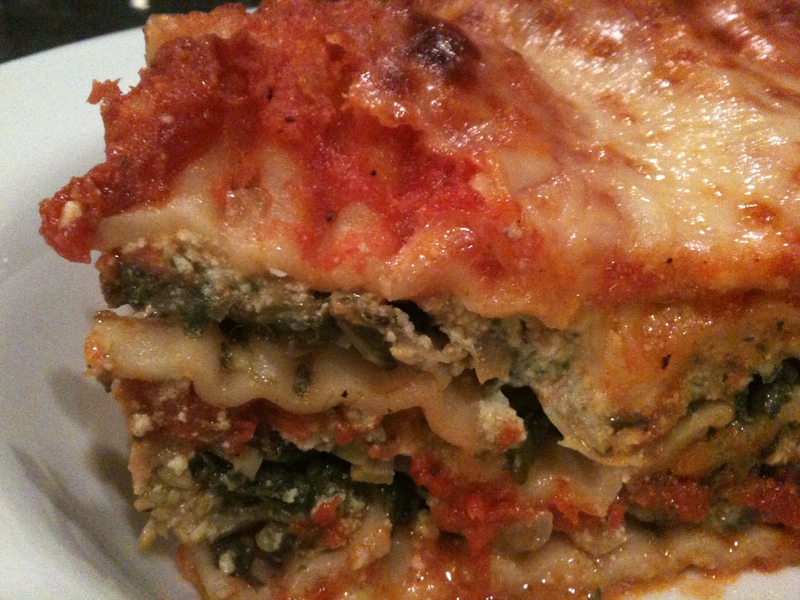 I did a veggie lasagna with a ton of spinach, broccoli, and artichoke hearts. I was a hit with my boys. 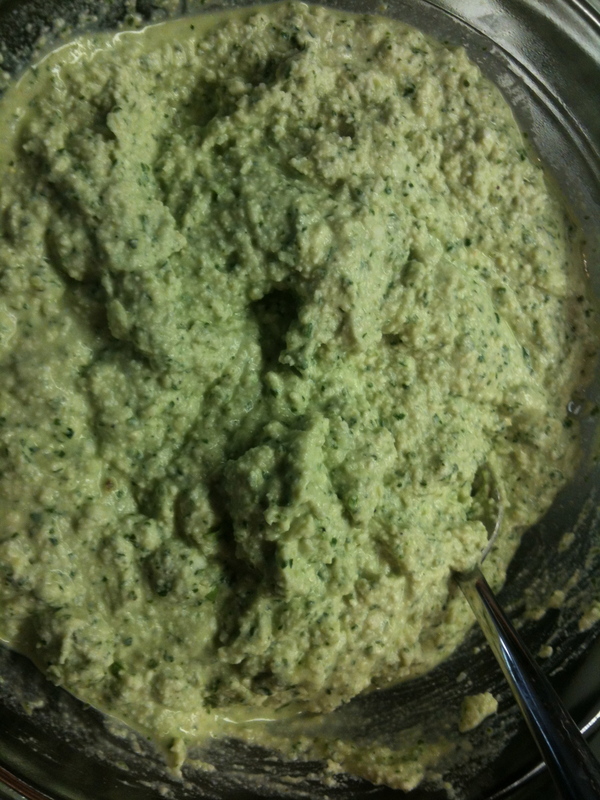 I guess when you smother your spinach and broccoli in a creamy ricotta cheese that has been blended with basil, parsley, pine nuts and garlic…it tastes pretty darn good. 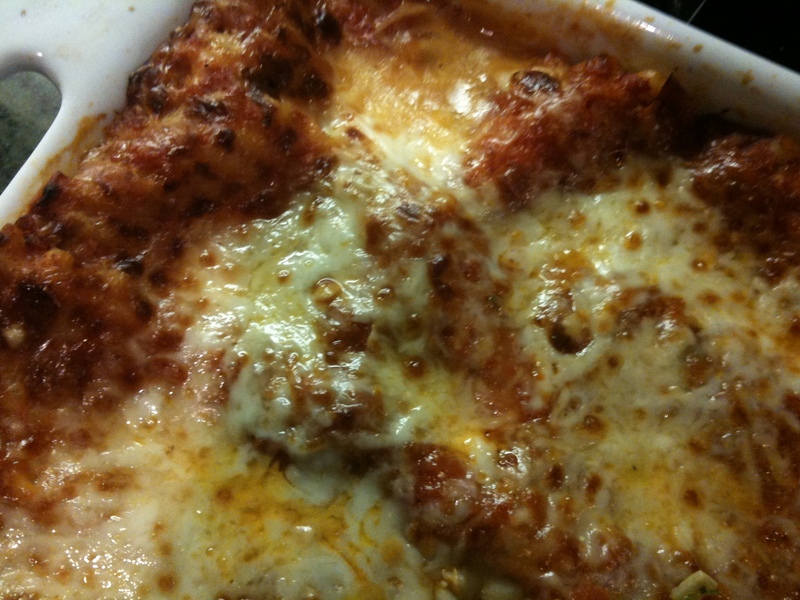 I used regular lasagna noodles (the kind you have to boil) because that’s what I had. In my opinion, they are much tastier then the no-boil kind because they are thicker and have a better “bite” to them. It’s an extra step, so if you want to save time you can go the no-boil route. I also used a jarred sauce…too many other steps going on to make my own. 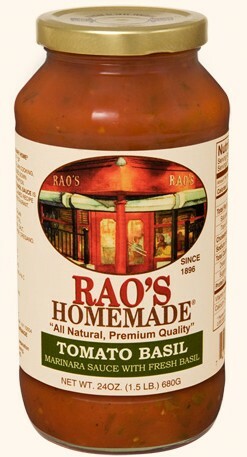 I used the “Rao’s” brand sauce that I like. It’s several steps above something like Prego or Ragu. Boil your lasagna noodles in a large pot of well salted water. My box said 12 minutes to “al dente” and I cooked them for about 7 minutes. You want them way under cooked because they will finish in the oven. 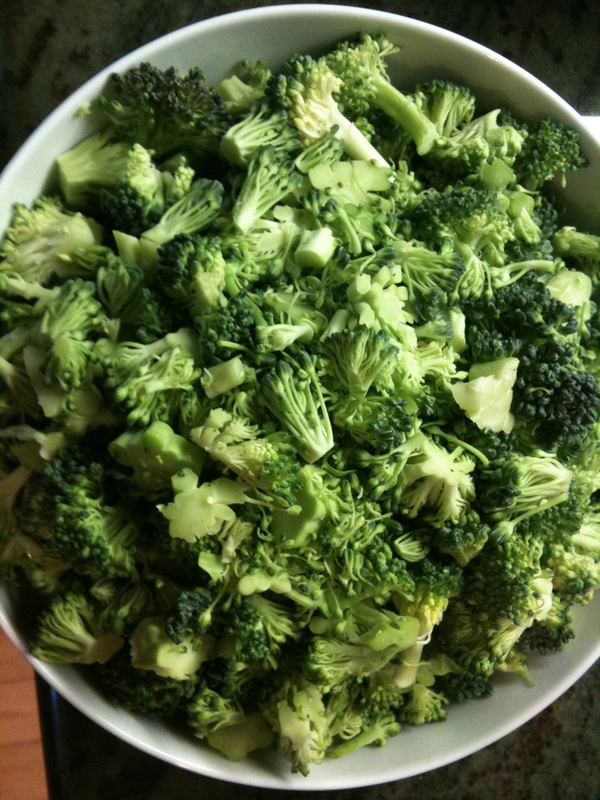 While you cook your noodles, roughly chop the broccoli and set aside. 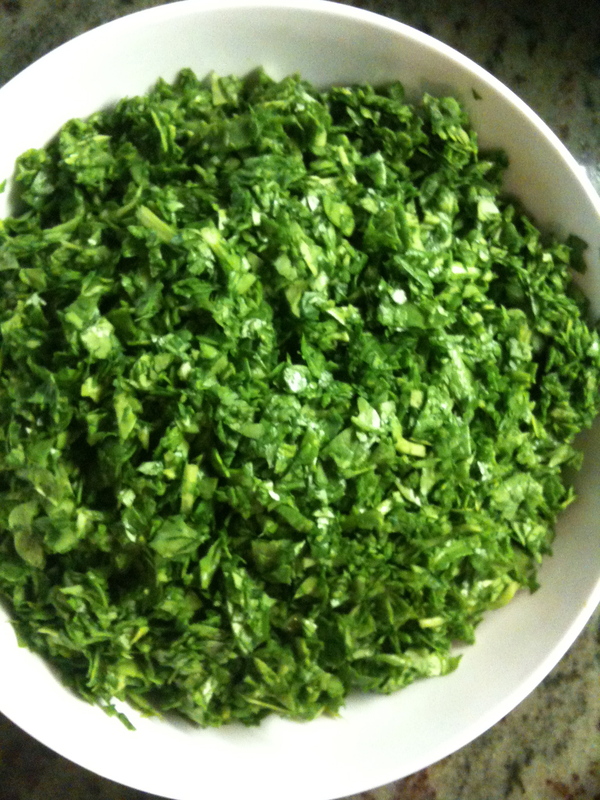 In a food processor, pulse the spinach (you will need to do this in batches) until it is all chopped. You don’t want it fine like pesto, just a rough chop. Remove from the food processor and set aside. Add your basil, parsley, toasted pine nuts, 1/2 cup of parmesan and garlic to the bowl of the food processor and pulse until finely chopped. Add the ricotta, the eggs, and 1 teaspoon of kosher salt and some freshly ground pepper and pulse until it is all combined. In a large saute pan, heat the olive oil and saute the onion for about 5 minutes. 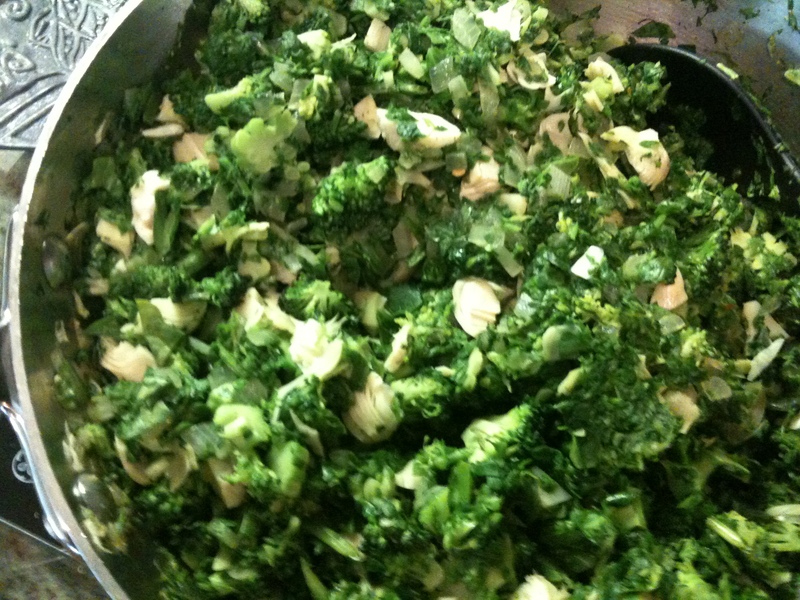 Add the broccoli and red pepper flakes (to taste) and saute for another 5 minutes. Add the spinach (in batches if necessary) and saute for another minute until it has wilted. You don’t really want to cook the veggies all the way, they will cook in the oven. Turn off the heat, add the artichoke hearts, 1 teaspoon of kosher salt and some fresh ground pepper and mix well. Cover in foil and bake in pre-heated oven for 40 minutes. Remove foil and bake for another 15 minutes or until top is lightly browned and bubbly. You can put under the broiler for a minute of you want to brown top a bit. Let sit for a good 15 minutes before cutting and serving. 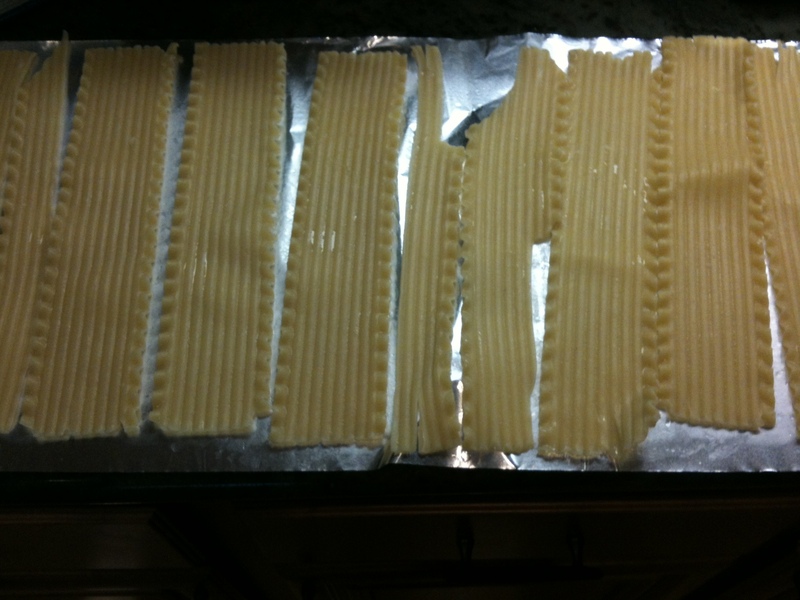 After I boil and drain my noodles, I lay them out on foil that I have sprayed with non-stick spray so they won’t stick. When you cover your lasagna with foil to bake, spray the side that will be touching the top of the lasagna with non-stick spray so the cheese doesn’t stick to the foil. Sounds so delicious! I’ll definitely have to try this one! Ok, I just made this and it’s in the oven. Will let you know. Now for the clean up! Lots of steps but anything worth eating is always a lot of steps and love.